If Rear Window and High Rise had a self-aware, millennial cousin with an obsession with conspiracy theories, old Hollywood and Nintendo. The knot of narrative threads weaving through Under The Silver Lake are at times inconceivable or forgettable until their relevance is brought to our attention, but I can’t help but feel that this confusion is part of the films message. It reflects the chaos of the patriarchal cultural economics that society has spiralled into, critiquing this through the lens of the industry in which the film was born: Hollywood. The film follows Sam (Andrew Garfield), a loser in all senses who can’t pay his rent and spends his days indulging in bad habits and a brief encounter with blonde bombshell Sarah (Riley Keough). When Sarah disappears after their evening together, Sam descends into a rabbit hole of coded messages, conspiracy theories, entitled, wealthy, comic zine myths, and dog serial-killers. The follow up to David Robert Mitchell’s horror It Follows, Under the Silver Lake, although of a completely different genre, could be considered a second addition to the social critique Mitchell is providing through his films thus far. The contrast between the noir style and stunning classical-meets-pulsing electric score and the literal and metaphorical grime of Los Angeles serves to remind the audience how much (but also how little) progress society has made since that golden era of cinema. The digital production of the film leaves the film looking fresh, whilst still paying homage to the classic films and stars it is drawing inspiration from, and the script, although sparse and cryptic at times works well in conjunction with the film’s style and tone. One of the major issues with the film is initially the representation of the female characters (or rather, lack thereof) with each woman in the film serving as an object of male desire. However, their inability to support any of the male characters in the film leads you to disapprove of their actions. Sam’s overt voyeurism never wields positive results, and the lack of female character development serves a purpose to highlight the white male privilege within the world in which we are submerged. The neo-noir label the film has acquired is rightly deserved and is not used as a gimmick, rather it adds another layer of dimension to the film, grounding it slightly, giving the audience something familiar to grip onto during the roller-coaster of a narrative. Most notable are the Rear Window-esque shots from Sam’s apartment, and the beautiful Marilyn Monroe tribute lighting reserved for the blondes at the centre of the film. The Classical Hollywood shots work to dilute the intensity of the over-stimulating visuals, with so much going on you fear you’ve missed some hidden clue much in the same way Sam does. It is this very alienation that is what prevents the audience from being completely disconnected from Sam, as we feel just as lost as he does in this world of confusing social politics and hidden codes for those privileged enough to be in the know. Upon reflection, there are quirks and notes within Under the Silver Lake, like the fact that Sam seems to only wear pyjamas for the last half of the film, that make you aware of the fun the film pokes at itself, its self-awareness helping you to realise that you aren’t supposed to be able to understand and explain everything. Yes, this film has flaws. It is far too long, with a second third act appearing at the end of the film, already two hours in, that fails to deliver the same resolving impact as the first revelation. Some of the conspiracies and mythological treasure hunts fall flat and get lost in the sea of cult references and existential set pieces, but for me, the totally indulgent, selfish and unapologetic way David Robert Mitchell piles the film up on a platter for audiences is what is so refreshing. I can appreciate that it may be overwhelming for some, but if you’re willing to do some leg work and submit yourself entirely, you’ll experience a film that has been born out of a true love of cinema and a director daring enough to make what he wants, not what Hollywood expects. 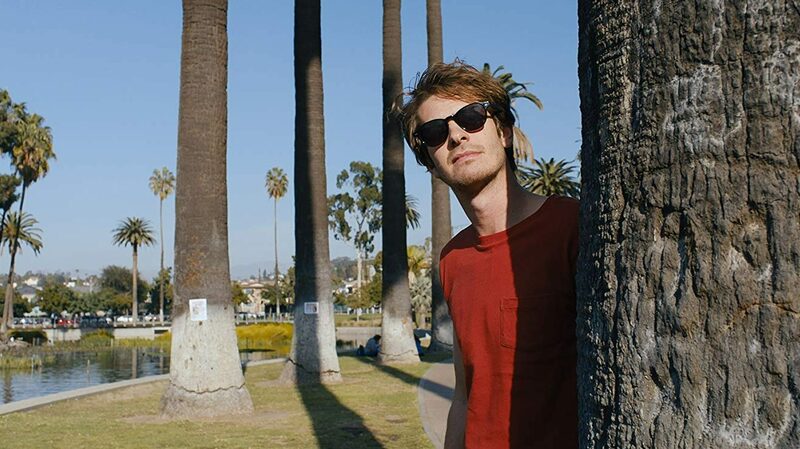 Under the Silver Lake (2018), directed by David Robert Mitchell, is distributed in the UK via MUBI, certificate 15.